It is very important that you know what to do when a dental crown is loose if you have one of these prosthetics covering one of your teeth. Dental crowns are the most commonly used restorations in dentistry, and they serve multiple purposes. Also known as caps, these devices protect a severely damaged tooth from further deterioration. A crown stabilizes a tooth, restoring its function and its appearance. Crowns are also often combined with other dental prosthetics like bridges and implants. During the installation of a crown, the dentist might remove a small portion of the tooth to ensure it fits properly. It is then held in place using dental cement. Getting a crown often requires multiple visits to the dentist, but the process can be completed if CEREC machinery is available at the clinic. This eliminates the need to have the crown made in a dental lab. Dental crowns can last up to 25 years with good oral hygiene, but that does not guarantee that it will never become loose. Bad habits like teeth grinding, chewing on hard things or eating lots of sticky foods can weaken the grip of the dental cement and lead to the crown becoming loose. So, what does a person do when a dental crown is loose? The first thing that should be done when a person notices a loose crown is to schedule an appointment with the dentist. A crown becoming loose is sometimes considered a dental emergency if the tooth it is covering is already severely damaged. 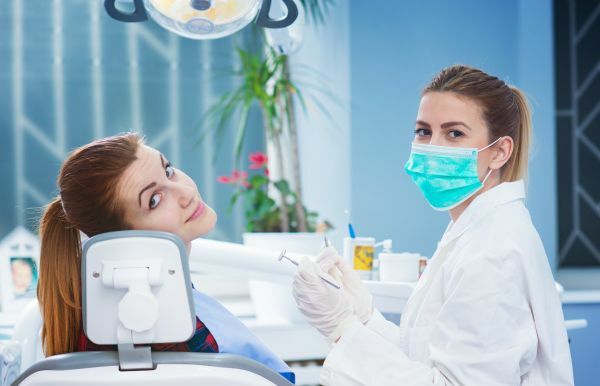 In such cases, the patient typically experiences excruciating pain as the nerve and pulp of the tooth become exposed to the bacteria, acids and debris in the mouth. When the patient gets to the dental clinic, there is a very good chance they will be able to refit the crown. While waiting for the appointment, if the crown has already fallen out, patients can try to reattach it using a dental adhesive. These can be purchased over the counter at pharmacies or grocery stores. This temporary solution will protect the tooth and reduce any pain. If the patient is unable to reattach the tooth, that information should be passed over to the dentist. Most dentists will try to see their patients within 48 hours when it is not possible for them to reattach the crown themselves. Dental crowns can come off for a number of reasons, but there is no reason to be distressed. It would be prudent to keep a dental adhesive in your medicine cabinet so you are prepared for this possibility. However, be sure to see a dentist as soon as possible. The dentist will figure out why it came off in the first place and come up with an appropriate solution. Request an appointment here: https://www.desmoinesdentalcenter.com or call Des Moines Dental Center at (206) 408-8541 for an appointment in our Des Moines office.